China (mainland) Jiangsu YANCHENG CITY,Villa No.F, 13th Row, Jinshuiwan Garden, Wengang Rd. We can provide spray booth with different types of control panel for different types of users, for instance, frequency invertor etc. This displayed picture is just an example of our capacity. 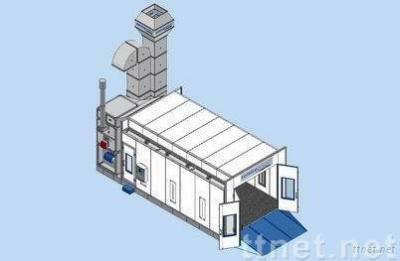 We can build spray booth and baking oven in any size depending on customer's requires. For more information，look at our homepage or feel free to contact us.